Modern and stylish, this Safavieh Courtyard area rug is a quality accent piece. Add this indoor/outdoor rug to your home for a comfy, yet stylish design option since it is made from plush synthetic material. Bring this machine-made rug into your home for a durable interior design option. Upgrade the dicor of your modern home with this geometric patterned beige tan rug. Interior design made simple with this contemporary Safavieh Courtyard area rug. Bring this high quality plush synthetic indoor/outdoor rug into your home to upgrade your interior design immensely. Its machine-made construction is sure to endure the constant treading of feet and furniture. Maintain your modern home aesthetic with this geometric patterned beige tan rug. 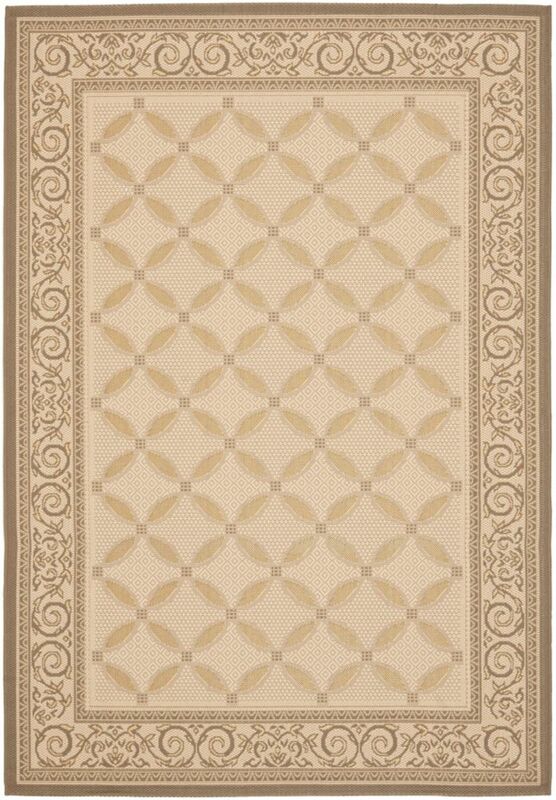 Courtyard Harlow Beige / Dark Beige 5 ft. 3 inch x 7 ft. 7 inch Indoor/Outdoor Area Rug Modern and stylish, this Safavieh Courtyard area rug is a quality accent piece. Add this indoor/outdoor rug to your home for a comfy, yet stylish design option since it is made from plush synthetic material. Bring this machine-made rug into your home for a durable interior design option. Upgrade the dicor of your modern home with this geometric patterned beige tan rug.